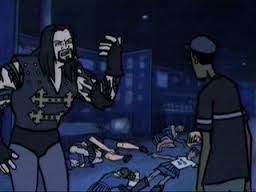 The Undertaker is a wrestler from WWE, he has appeared in MTV Downtown as a Anti-Hero. 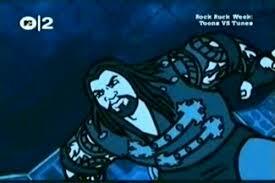 He is voiced by himself and originally portrayed by Mark William Calaway. 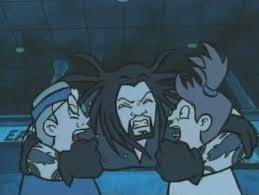 The Undertaker of the WWE once "apeared" as himself when the gang went to a comic book convention. He hated the bullies who tried to attack a comic book guy.